My front door deadbolt lock is hard to unlock and open when I put the key in and turn. I can unlock the door if I try a few times but the key has a difficult time turning as the deadbolt is sticky. We have been going through our garage door to get in the house because of this. I believe the inside of the lock is just dirty and possibly has rust on it making it hard to unlock the lock. What would you recommend to lubricate the door lock so I can try fixing it myself? 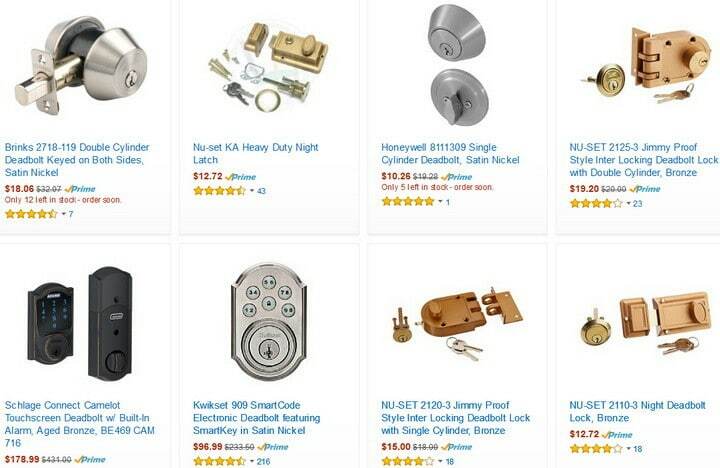 I would like to try lubricating the door lock before I call a locksmith. Would WD-40 work to lubricate it, and how do I lubricate it? It’s a dead bolt lock type. It is not recommended to use WD-40 in or on any type of door locks or deadbolts. The WD-40 lubricant will work for a short time to lubricate but will eventually gum up the pin tumblers and cause them to stick in the chamber therefore making it difficult to unlock the door. If you are going to use a spray type of cleaner, use a carburetor cleaner such as a product called Gum Out or Tri-Flow which contains Teflon. A liquid lubricant may attract dirt and dust and this can cause your door lock to become difficult to turn and unlock. You can use a liquid lubricant such as WD-40 if you choose as it will temporarily loosen up the lock so you can get the key to turn. This is okay if you need it fixed immediately and have no other cleaners or lubricants instead of WD-40. Just know that over time the liquid lubricants inside your door lock will attract traces of dirt and dust. You will have to routinely spray the locks to remove the dirt and dust. WD-40 is a great lubricant, but any type of liquid lubricant in your door lock will eventually attract dirt and therefore will gum up the lock. 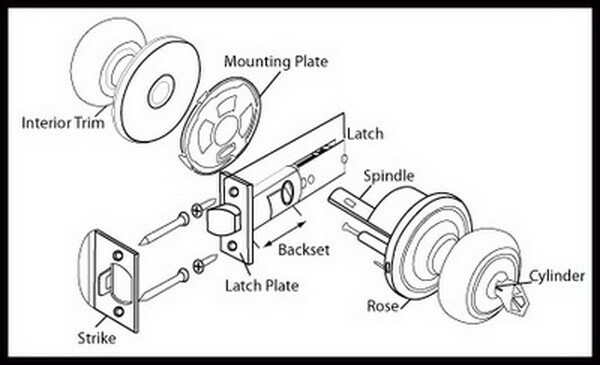 See below for taking apart your door lock and getting it to work like new. Assuming the door lock is hard to unlock with a key because it is dirty or gunked up inside and NOT DAMAGED, your best bet is to use a dry graphite. 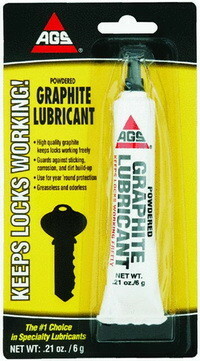 A dry graphite lubricant will lubricate the inside of the lock making it easier to unlock. Dry powdered graphite will not cause any of the internal lock parts to stick as it is dry and will not attract dirt and dust. Use a powder graphite to lubricate your door locks instead of a liquid lubricant! 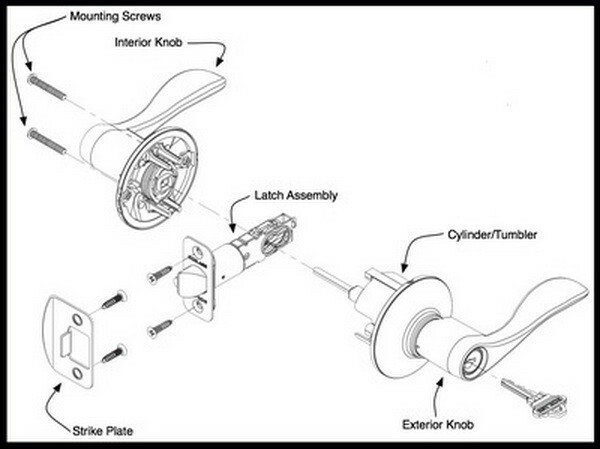 Get a screwdriver and remove the screws holding the lock on your door. Leave the lock in the door but only remove the cover and other parts to get in to clean it. 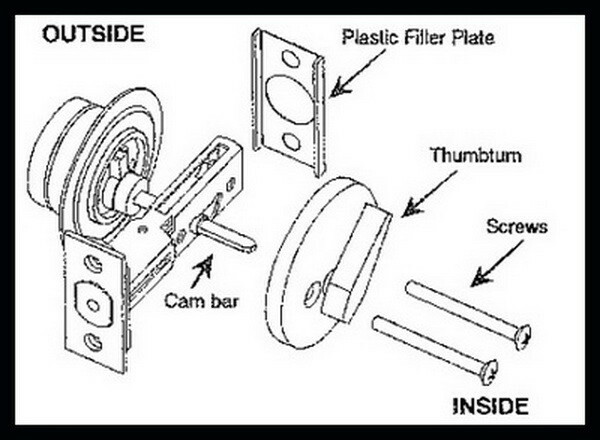 Once taken apart use Gum Out or a similar type of cleaner to clean the inside of the lock and all moving parts. When spraying the lock to clean it, you should have some dirt and gunk drip out. Make sure to catch this with a rag so it does not get on the floor. The purpose of this is to clean out the inside of the lock, all moving parts, and the key hole. Using the liquid cleaner is ONLY to clean out the lock to remove the internal dirt that is causing it to be difficult to unlock with a key. After using the spray cleaner, wipe it down and get as much of the liquid cleaner out of the lock. Once the lock is clean, free of dirt and dust, and completely wiped down and dry of the cleaning lubricants, use a graphite lubricant on all parts of the lock. If needed wipe the lock down again if you notice any liquid cleaner still present. Add more dry graphite lubricant to the moving parts of the lock making sure it is clean and dry. Put the lock back together and test it. Your door lock should now lock and unlock with ease. Using the dry graphite is better than constantly using a liquid lubricant as it will be less likely to require follow-up lubrication applications. Note: Your issue may not be in the door lock itself, it could be in the door jamb. You may need to re-position the door jamb so the slider bolt fits into the door jamb hole. Check the door jamb to make sure everything is lining up properly. You can get powdered graphite or a graphite dry lube spray from a tool shop, online store, home improvement store, or a locksmith. Spray the graphite or puff it into the lock. You may have to keep working the key in and adding more graphite until it’s completely free and can turn easily. Have questions or comments about a door lock that is difficult or hard to unlock with your key? Sticking deadbolt? Having trouble getting your door lock clean? 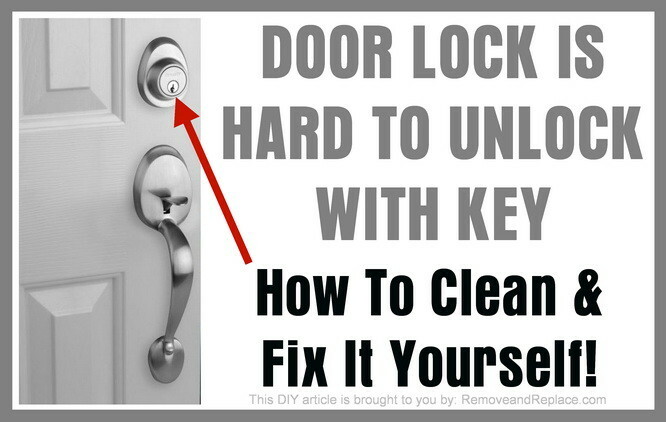 Is your door lock difficult to open with a key even after you have lubricated and cleaned it? 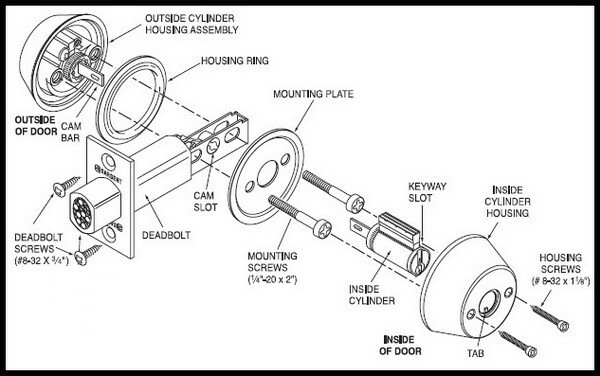 Please leave a comment below and we can assist with your door lock problems. Lock is new, tried graphite, it is hard to disengage key from lock. Try getting a new key made. I didn’t realize that by using WD-40 on the keyhole I could actually be causing the problem to become worse. It seems to me that having a long term solution would be better than a short term fix. My dad tells me that his key gets stuck in the front door. He might consider applying dry graphite lubricant to have a longer lasting solution.